Our price for wedding photography start at $2,000 and our most selling package is around $3,500. 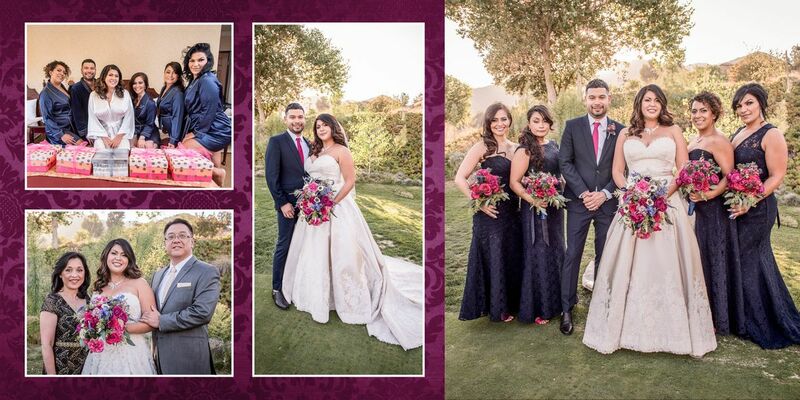 We are experienced winning award photographers specialized in weddings with top quality customer services. All our packages include at least one photographer, 1 light assistant, editing of the pictures (colors, exposure , contrast corrected) 8 hours of photography (for wedding in one location under 150 guests and small bridal party) and a beautiful 12x12 40 panels flush mount wedding album. The images images are approximately delivered 4 weeks after your wedding day on a USB thumb drive (800). We customized everything because each wedding is different. Some are sweet and short and others are extravagant destination weddings that require serious logistic and amazing finalized wall arts prints. The among of real work can be anything from from 10h to +36h (photo shoot, editing and designing). So we would like to meet with you and hear about your vision in person. Please, set a free consultation and let's make the magic happen. "How much is your wedding photography artistry and experience important to you?" If the answer is a lot, you are definitely in the right place. 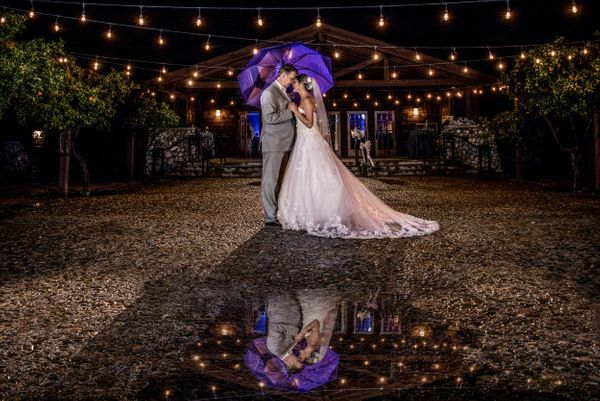 There are many photographers in our area but oftentimes the lack of experience limit the artistry and only capture the elements of a wedding that are aesthetically pleasing. Of course, we capture those elements but even more important we shoot knowing we are going to tell the story about a couple's beginning together. 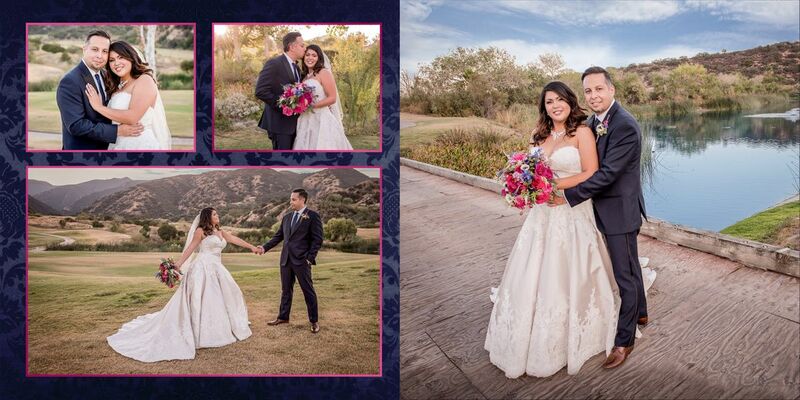 When choosing wedding photographer in the Southern California, you will find out that price will be all over the spectrum and you might find yourself tempted to go with a more affordable option. It may be tempting to hire a friend, or someone who displays few pretty images on their website with a very attractive price. However, There are a few things to keep in mind when searching for your perfect photographers. You definitely want to be careful about hiring a photographer with little experience in shooting weddings because the prices are low. It usually comes with a lack of experience and knowledge in photography which might result in poor quality outcome of your photography or/ and missing of important moments or elements. So, to make sure you are choosing right, here are a few things to keep in mind when looking through your photographer portfolios. Every wedding will have a moment where the light is not optimal such as dark light in a church (where flash is not allowed) or a ceremony at night with very moody lighting. One of the important sign of a well skilled photographers is how they use artificial light off camera. There are many proclaimed "natural light photographer" which is a particular style of photography. But it has its limitation. 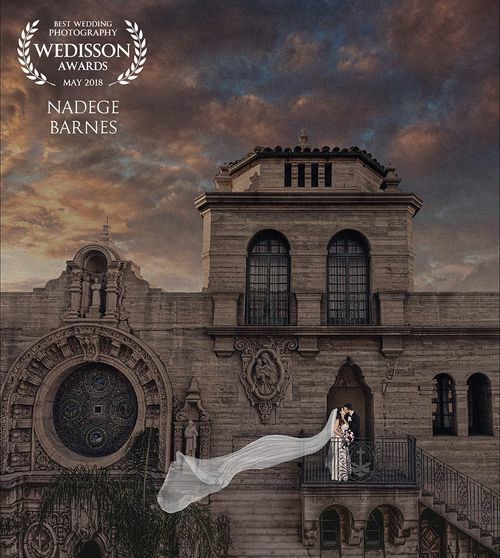 All the best award wedding photographers in Southern California will tell you that light is light and knowing how to use artificial light when necessary is what make them better. Many of the photographers that claim to not use off-camera lighting will have trouble photographing many elements about the day the correct way. 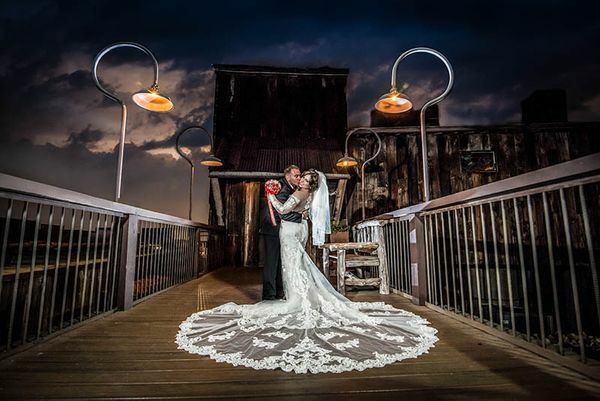 So, always ask to see wedding photography at night . 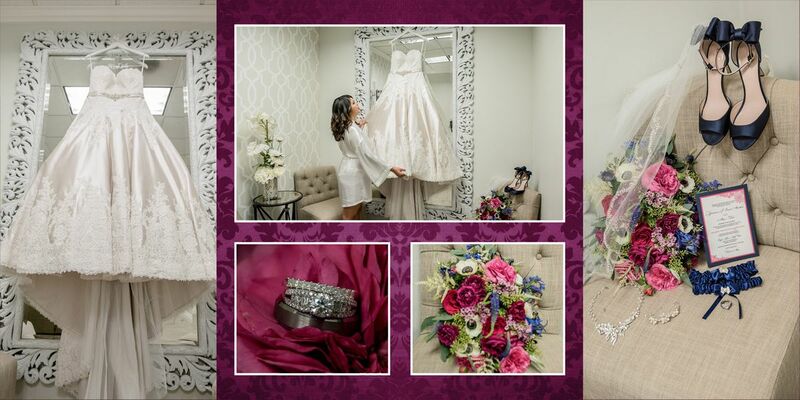 We don't just tell the story of your wedding day. We provide you an experience with our expertise and knowledge . We can create up to 5 Signature Collection images with Nadege Barnes that will become the centerpiece in your home. The ability to tell a story of you wedding day is certainly the most important skill required by your photographer for your heirloom album because you are going to show this master piece to your family & friends. If you just receive a flash drive of your images, you will be missing out on the most important part of your experience, the emotional connection and a chance to be able to relive that moment. Why?Well, it's impossible to tell a story through a drive of 800 images and even less to share it on a couch or after dinner with friends and family., it's not practical and you will have to scroll through hundreds of images just to find the ones that mean the most to you. 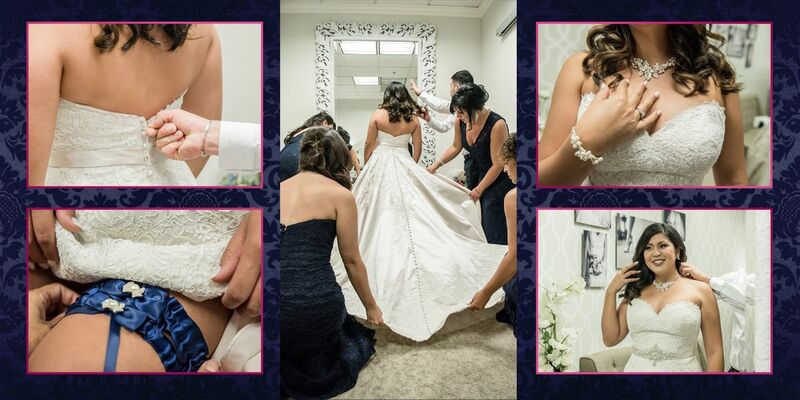 All our flush mount albums will tell the story of your day from getting ready, to ceremony, bridal party, formals and reception with keys moments that wont be forgotten. We have seen too many photographers claiming to be "Story Teller" but they do not respect the chronological order of the day and do not includes (all) family portraits and / or a missing moment such as first dance, cutting the cake or a special moment with grandpa. Our albums are more than a collection of beautiful pictures, they are real story teller of your wedding day. All our flush mount albums are hand crafted and customized upon each client's request. We think that the regular black leather album doesnt cut it anymore. 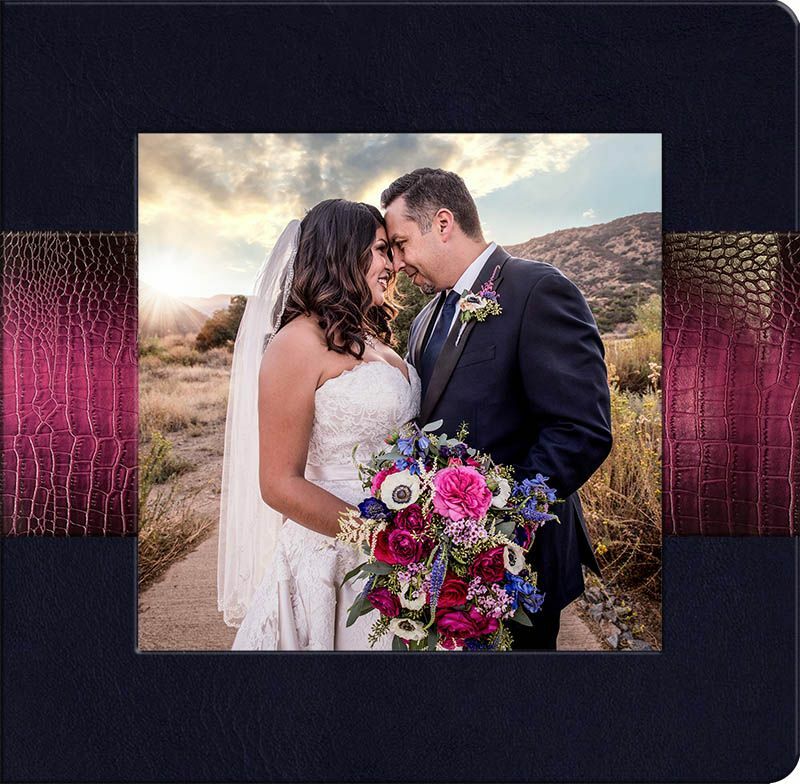 Your wedding album should match your wedding colors / theme / style and that is why we offer choice of leather (hundreds of choices) acrylic and printable cover, gold, silver, black or white gilding as well as matte, luster and metallic gloss photo paper. WHY IS GOOD WEDDING PHOTOGRAPHY SO EXPENSIVE? We want to answer a dirty question that every photographer tries to avoid. Well, We understand why you want to know and this is why we make sure that all of my couples and clients understand why we charge what we and why our prices go up a little more every year. So, this is what exactly goes into being a photographer for your session and your wedding day! At French Romance photography, this isn’t some side thing that we do for the fun of it or a part time job. We are full time photographers and this comes with a long term experience, in our case, 10 years. It is what pays all our bills. Your wedding day is probably the most important day of your life other than giving birth to your children and we as photographers are under a lot of pressure to capture this amazing event the way you want it and delivered back to you in a timely manner! Still, why is wedding photography so expensive? 1. 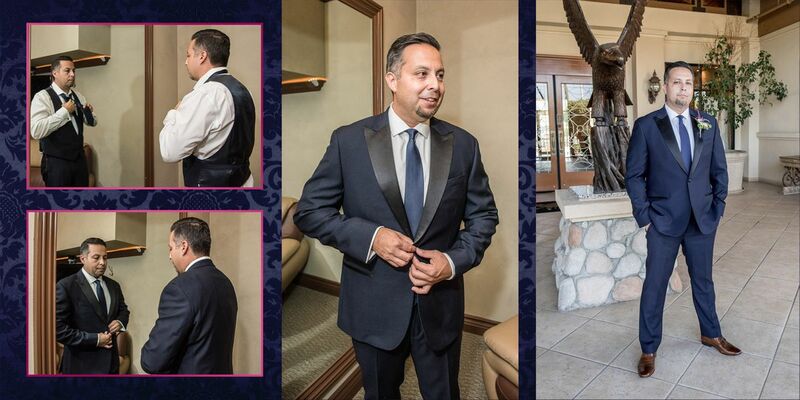 Weddings aren’t just another day, this like we said earlier, it is one of the most important days of your life! So, we have to be prepared for it because if we screw up we cannot redo it. We as wedding photographers have back-ups to our backups just in case. For every wedding we carry 2 camera bodies, Both Nikon D810, together worth over $4500. Then we carry a bunch of lenses and each of them also cost between $500 to $2,000 a piece. On top on that, we have multiple flashes, camera stands, remote flashes, camera bags, and sometime hire a second shooter when the spouse is not available! Just our equipment costs a fortune and half of it still need to get paid off. 2. Most people work an eight hours day but wedding, even if our time line could say we are here for 8 hours (if it is not more) Weddings are not just eight hours day by any means. The night before, we make sure everything is charged, cleaned, working, bag packed etc. We check on the timeline, pack the guest book and the framed pictures of the engagement session. As soon as we get up in the morning, we double check that we have everything we need and get ready to head out to driving up to 1h30 sometime. Gas is not cheap neither and we must make sure our car is in good condition too because we do not want to miss your wedding because our car broke down. Then we arrive at the venue 30 minutes early to check it out. From the detail shots to the first look, to the ceremony and I do’s, to the family/bridal party and couple, to the DJ intro, to the first dances, to the cake cutting, to the garter and bouquet toss, to the uncle Bob drank too much photo and so much more at the reception, we are on our feet none stop and get barely 20 minutes to eat some food at the reception. We have carrying 2 cameras and a bunch of equipment. Trust me, these cameras and lenses are heavy! No need to go to the gym. So, by the time we are done and in the car, our bodies are run out. Still, we have to drive back home. Before we go to bed, we grab all the SD cards and double back them up onto hard drives and edit few of them to put then onto our social network and maybe even text a teaser to our clients! 14h to 18h straight up! And sometime, another one is waiting for us the next day! 3. After the wedding, we are not done. We still need to look at all the pictures, delete the bad, keep the good, edit them, rename the files, spend time in lightroom and photoshop to make some of them stunning. And no, we are not done yet. Pictures get delivered and the album order come along. We have to design the layout, make final adjustment to some of the pictures, then send them to the printers after few back and forward by emails with the client. 4. Shooting a wedding is not only a part of it. There are also bridals shows involved, marketing, social media, taking class to keep up with technology and few new marketing tools. The business aspect never stops. 5. This get forgotten a lot by clients but it is a very important point. We carry LIABILITY INSURANCE. Why? Because life happens same as car accident. There are too many photographers out there who do not carry it and it they screw up, you will never get your money back because they can always file bankruptcy to avoid paying you even with a court order. That is right! Think about it! And most wedding venue want you to have vendors who carry one anyway. We carry a $1 MILLION policy to protect us and you. We are not complaining, we LOVE it, we live for weddings but when someone asks why this is so expensive, well this is why! But ask yourself, are you willing to risk your wedding day photos on someone with very little experience to no experience at all, maybe someone a bit cheaper? We know I wouldn’t. We had ourselves a bad experience and we never got our wedding pictures. So, we know how important it is. We know you want to be proud of them to not know which ones to hang on the wall! Not to think which one is barely good enough to hang on the wall. Trust me if i tell you that if you only want digital, you will never look at them because it is not convenient like a beautiful album. We are artists, not just photographers. We are here to serve our couples and would do anything for them! This why wedding photography can be expensive! Choose wisely because you will never get this day back!